These are the best photo-editing apps in 2019 that we found! You can use most on both (Android and iOS). Try them and let us know your favourites. Need to fix a dull colourless sky, lighten up parts of a portrait or use blur to create a custom depth effect? A regularly updated list of high-quality filter packs created by photographers we love! Always free. Hipstamatic is a world-class photography app and Apple’s original App of the Year! Shoot beautiful authentic photography and become part of the world’s most creative community, exclusively on iPhone. CLASSIC CAMERA: Digital photography has never looked so analogue. Shooting Classic provides beautifully rendered skeuomorphic cameras that transform your experience as you swipe through lenses, flashes, and films. PRO CAMERA: For the mobile photographer looking for a minimal capture interface with maximum control, shooting Pro gives you ultimate creative control. Join a community of over 20 million creators around the globe. Gain exposure, share your inspiration and sell your pictures—all in one place. If you’re a photographer tired of trying to tap your way to the exposure you want, then this is the app for you. Fighting to get the sweet spot between a blown out background and a silhouetted subject? Stop tapping and just set the ISO and shutter yourself, you know how to stop letting your silly pocket computer decide what looks good to you. Post photos and videos you want to keep on your profile grid. Edit them with filters and creative tools and combine multiple clips into one video. Browse photos and videos from people you follow in your feed. Interact with posts you care about with likes and comments. By Nick Ackerman. 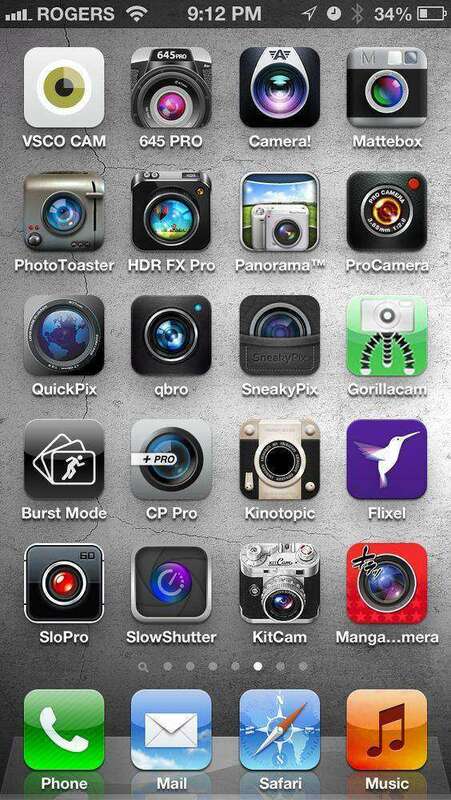 iPhone Camera apps are plentiful, but what is the right iOS Camera app for you? Well in this video we take a look at the best camera apps from our experience, all of which are available in the Apple App Store for free download. If you have any suggestions on the best camera applications for iOS go ahead and leave a comment or link in the comment section.